My trip to visit to Shirdi was totally unplanned however decided to go ahead with it for various reasons. Since I work late into the night, I decided to head towards KBS directly. I finished my work at 11am and boarded a bus to KBS. With more than 2hrs for the scheduled departure, I was convinced that I can make it on time however Bangalore and its traffic decided to give me some nervous moments. A traffic jam from Command Hospital till Lifestyle signal followed by slow moving traffic from Richmond road till Corporation ensured I reached KBS by 12:40pm. Met my friend Suhas and both of us patiently waited for the beauty to show up. At approximately 12:50pm, she showed. 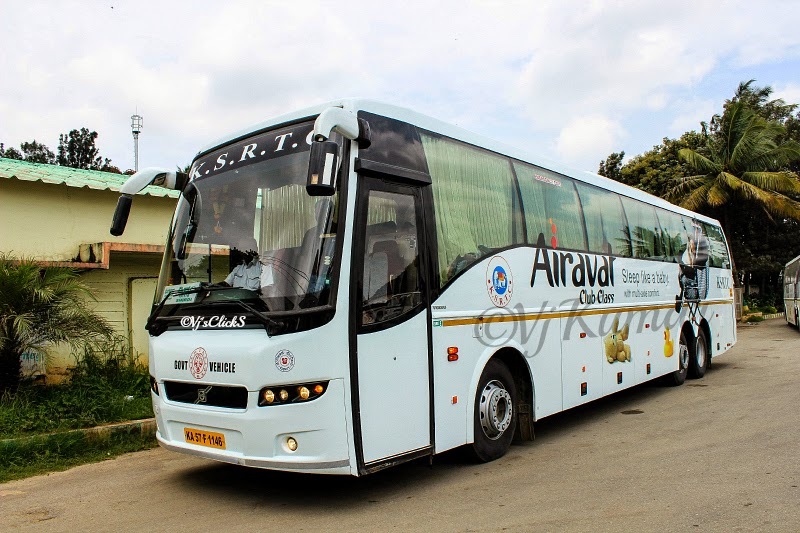 The regular bus was recently replaced with the new set of Airavat Club Class buses. In the wake of the recent incidents (unfortunate), KSRTC has deployed 3 drivers on all its long route buses with one Driver doubling up the role as a conductor. While the passengers decided to mob the bus with tickets in their hand, myself and Suhas decided to take a look around the bus shining in all the glory in the mid afternoon sun. We were yet waiting a passenger to show up. Finally the passenger showed up. All passengers were accounted for and we finally moved out of KBS at 1:20pm. The bus took its regular route and headed towards Navrang. 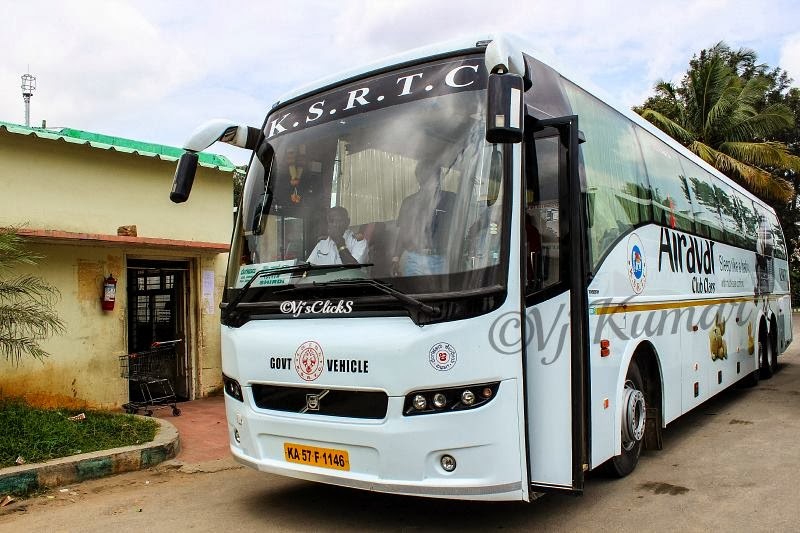 Here few more passengers boarded the bus and headed towards Jalahalli, the last pickup point. After picking up the last set of passengers, we took the Yeswanthpur –Nelamangala toll way. The bus constantly kept doing 80kmph on the odo and finally pulled over at Kamat marking our first break for the day. The Lunch halt was brief and we resumed our journey. 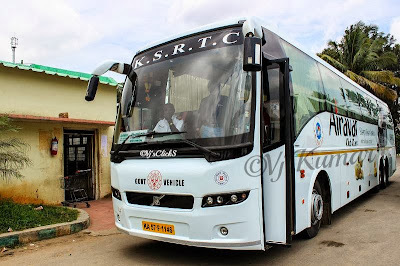 Just at the moment got a call from the crew of the second bus (2pm Airavat) telling me that they have just crossed the Yeswanthpur –Nelamangala toll way and will be meeting us up ahead. A fairly new Bollywood movie was being played. Me and Suhas decided to join the crew and njoy the journey up ahead. We reached Davangere at 6:30pm and pulled over at Kamat for tea break. After a quick stop for snacks, we continued further. Finally fatigue took the better of me and finally crashed into a deep sleep. I was woken up at around 8:30pm and noticed we were at Varur pulling over for our Dinner break. The Dinner break again was brief and just as we were about to resume our journey, the 2pm Shirdi Club Class honked her way towards the restaurant. After having a quick chat with the crew, we departed towards Shirdi. I decided to continue my sleep while the bus powered on towards Belagum. We pulled over at around 11:30pm for our Diesel break. I continued my sleep while the bus gulped in 100ltrs of Diesel, enough to reach Shirdi and return back to Bangalore. We reached Pune at 4am. There were not many passengers getting down here. We resumed our journey again and so did I resume my sleep. I was woken up at around 7am. The bumpy roads leading to Shirdi quickly woke up the rest of the passengers in the bus. We reached Shirdi exactly at 7:35am and were dropped off at Holiday Park. I have been doing this trip year after year and the experience has remained the same. 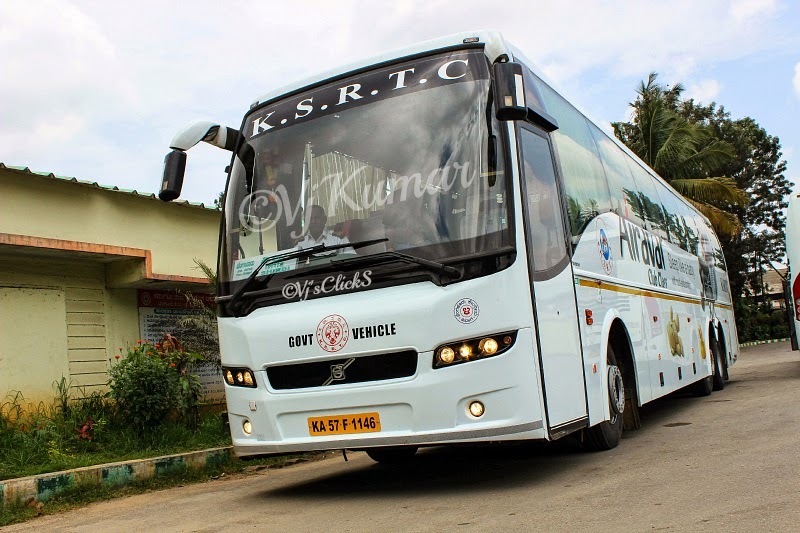 The comfort of Club Class with experienced and friendly crew behind the wheels always ensures a trouble free ride.